I have never seen this elegant insect before. It was stranded in the pool and at first we thought it was dead. We fished it out and left it to dry, and this is what emerged. A Thread Lacewing. What a beautiful, delicate thing. Nemoptera Sinuata is native to Southern Europe and is quite distinctive. It has two sets of wings. 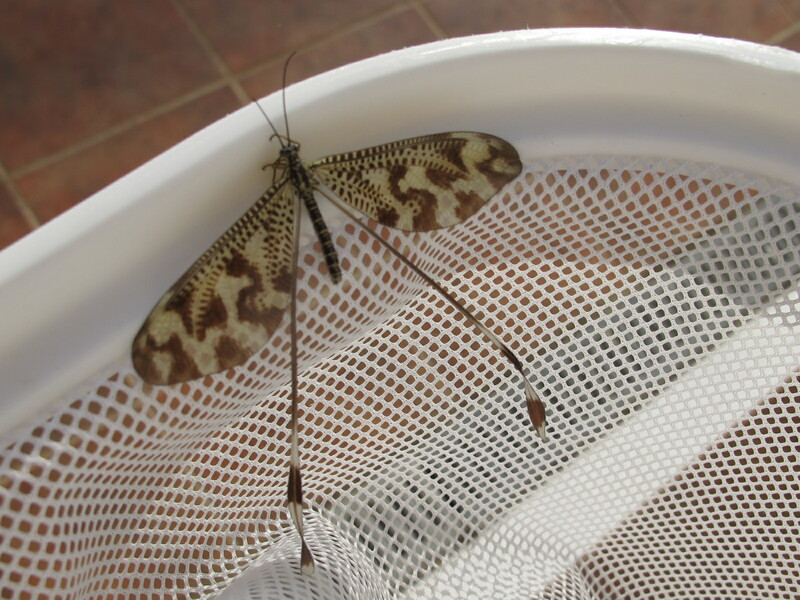 The large forewings have zig-zag markings, his hindwings are very long and thread-like, almost like streamers. This entry was posted in Nature and tagged Andalucia, insects, nature, Sandra Danby, Spain, travel on July 11, 2016 by sandradan1.